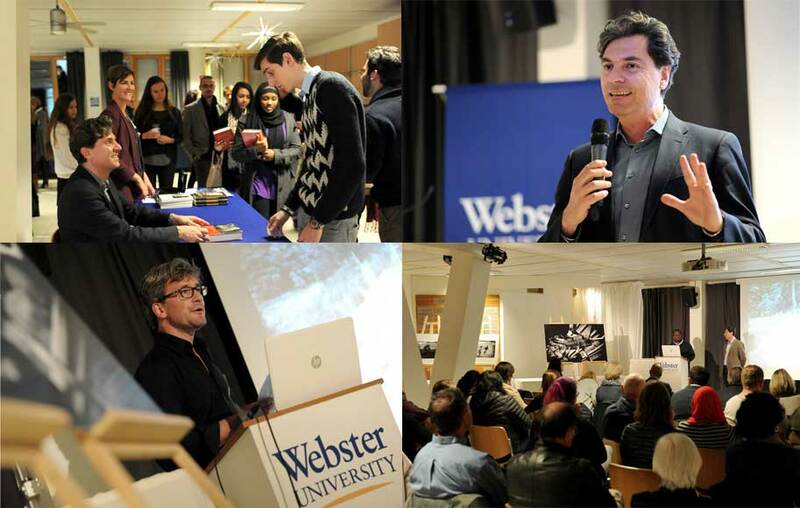 In commemoration of Webster University’s centennial anniversary, the Geneva campus inaugurated its Centennial Speaker Series with a theme that examines a critical issue from the last 100 years of human history and involves collaboration among multiple Webster academic departments. “Open Wounds: A Century of Crimes against Humanity" brings together the International Relations, Media Communications and Psychology departments who are invited to reflect and present on this common theme. In 1915, the year Webster University was founded, the First World War was devastating Europe and the Armenian genocide was being perpetrated. Since then, and over the next 100 years, crimes against humanity did not abate, as the world witnessed the Holocaust, the killing fields of Cambodia, and the mass murders of Bosnia and Rwanda to name just a few. In order to mark and to better understand these important historical milestones, including their lessons and legacies, Webster University Geneva has invited scholars, experts, activists and witnesses to shed light on the subject of crimes against humanity. This Centennial Speaker Series endeavors to look at other issues related to the aftermath of genocide and the long-term ramifications of such horrendous events, including justice and reconciliation. On Nov. 9, Webster Geneva faculty member and photographer Kristian Skeie opened the series with a presentation of his photographic stories: “Life After Genocide.” These pictures were also on display last month at Webster’s May Gallery at the home campus. 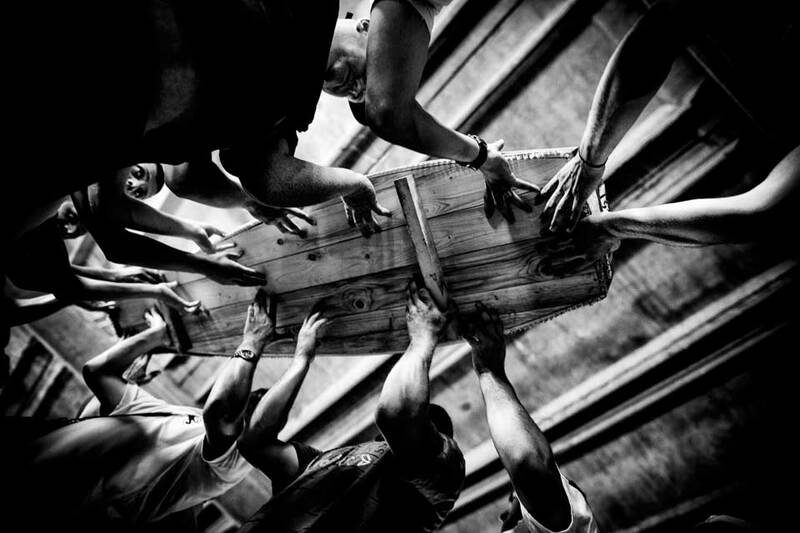 Skeie gave a lecture on his photographic exploration on what it means to survive genocide. He shared some of the individual stories he collected first hand from survivors of the massacres of Srebrenica in Bosnia and against the Tutsi in Rwanda. While the photographs on display covered both events, Skeie focused on one particular story—that of Reverien Rurangwa a boy, who at the age 15, lost his entire family of 43 members. Reverien now lives and works in Switzerland, but returned to Rwanda to visit his village, 20 years after the genocide was committed. The photographer accompanied Reverien on this voyage. Two photographs from the exhibit were offered for auction in order to support a humanitarian initiative that can help Rwanda survivors. The Webster Humanitarian Association (a registered non-governmental organization) and Ibuka Suisse (Rwanda survivor organization) in Rwanda are facilitating this fundraising effort. Skeie has collaborated with a number of different media organizations, companies and non-governmental organizations in Switzerland and abroad. “Life After Genocide” has also been shortlisted by the Swiss Photo Award and has been put on display by Reporters Sans Frontiers and PhotoReporters/ Impresum in Zurich, Geneva and Lausanne. On Nov. 12, Webster faculty member Vicken Cheterian spoke about his latest publication, Open Wounds, Armenians, Turks, and a Century of Genocide. The book is a tour de force on the post-Genocide political history, bringing to the reader an entangled narration of Middle Eastern and international history of crime, denial, and return of memory. Cheterian argues that the annihilation of the Ottoman Armenians during the First World War is one of the founding moments of modernity, which heralded into contemporary practice the large-scale destruction of civilian population groups by their own state. The failure of the international community to acknowledge this crime along with its continuous denial by Turkey has created a culture of impunity that is pivotal to understanding the violent conflicts in the Middle East today. Cheterian is a faculty lecturer in both Media Communication and International Relations. He has worked as a reporter, publishing in media outlets such as Le Monde Diplomatique, Neue Zürcher Zeitung, Agos, Al-Hayat, among others. His research has appeared in prestigious academic journals such as Nationalities Papers, Survival, Europe-Asia Studies, among others. On Friday, Dec. 4, Webster Geneva will hold the third and final part of its Centennial Speaker Series: “Why Genocide? : Realities, Responses and Ramifications." This event will be organized by the International Relations Department with the close collaboration and participation of the Media Communications and Psychology departments.